April showers bring… lots of rain. 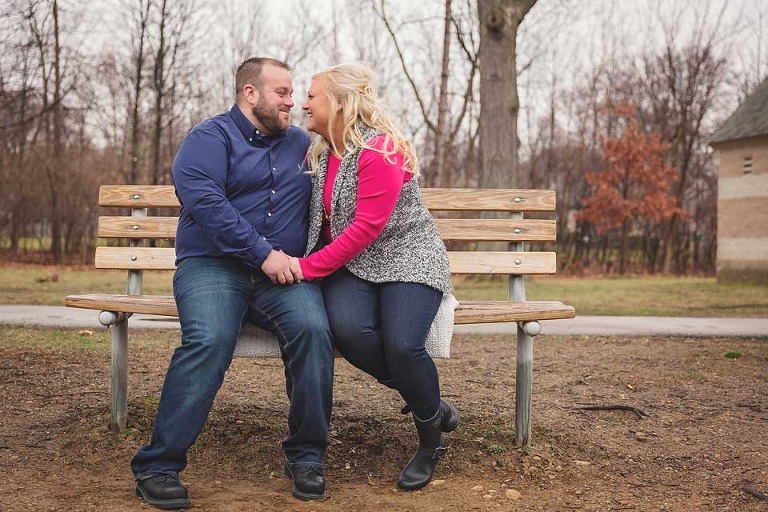 But that didn’t stop Amy & Mike’s engagement session last month in Rochester Hills. 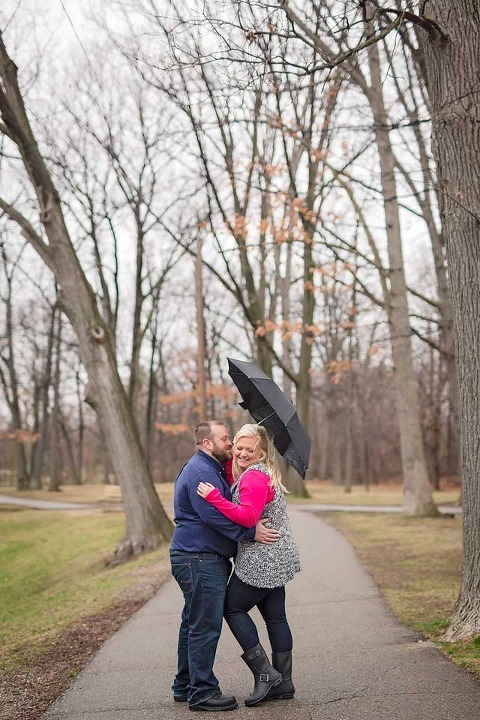 The storms unleashed on my drive to their session and then again on my way home, but for the hour I got to spend with these two, the rain halted and the birds were singing… It was meant to be! 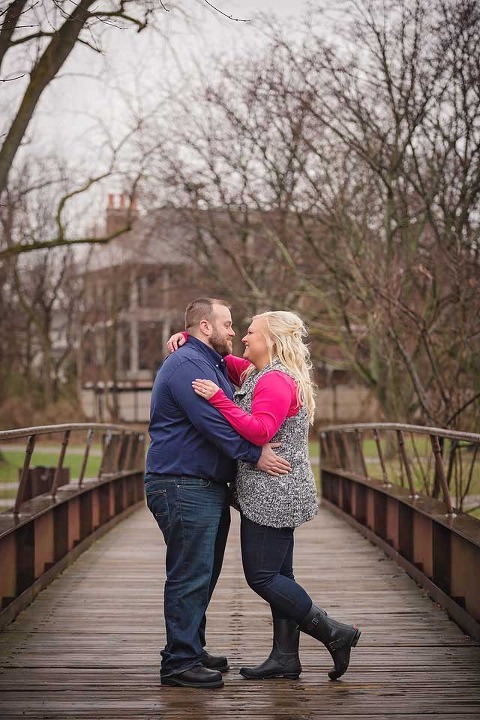 I met Amy a few months ago when we sat down to chat about her and Mike’s upcoming spring wedding at Pine Knob Carriage House. She has such a wonderful attention to detail and has worked on making every, single aspect of their wedding absolutely perfect. I was so excited to meet Mike at their engagement session. These two are an absolute pleasure to work with. Although the sun was hiding that day, their smiles lit up the entire park. We began our session at the very same bench that Mike proposed to Amy several months back. It was such a special location, and I was honored to photograph them there. 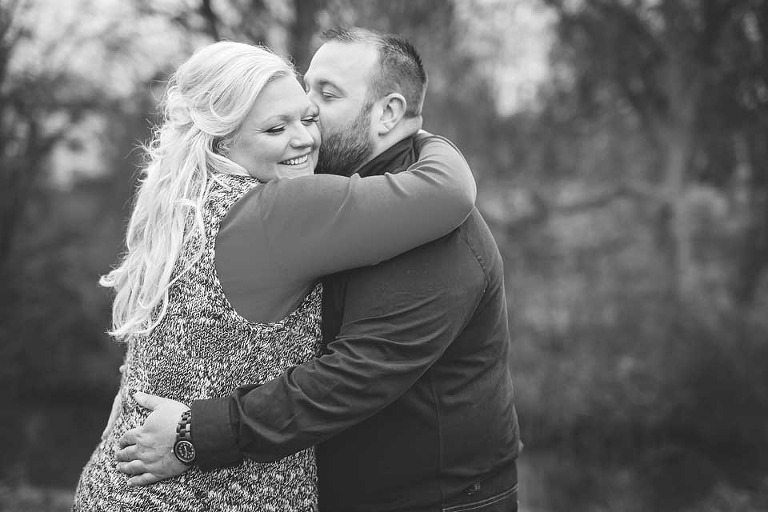 I am SO excited to shoot their wedding in just a few short weeks! Congratulations Amy & Mike!